Linda C. Wisniewski, author and life writing teacher, shares in this eloquent and thought provoking essay the many health and healing benefits of starting the new year off with writing. Linda urges us to "get it down" before it's too late. I had the pleasure of meeting Linda when we attended the IWWG Conference at Drew University the summer of 2013. Please welcome Linda to the Women's Writing Circle. Does anybody but me have this underlying anxiety, this fear of aging, of death, of being unknown? Some days I think it’s the malady of our age. Otherwise, why the popularity of so much “escape” entertainment, TV, movies, the web, video games, gambling, drinking? What are we escaping from? 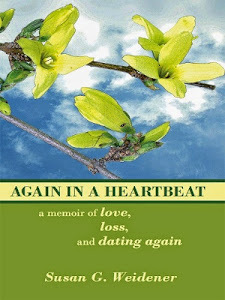 Facing our feelings, says Dr. Margaret Paul, author of Inner Bonding. We are afraid of facing the loneliness, heartbreak and emptiness of our lives, and our helplessness over others. James Taylor sang “the secret of life is enjoying the passage of time.” But how can I do that? It’s passing, tick by tick of the clock. Yesterday, I was in high school, now I’m collecting Social Security. What happened in between seems like a day, a week, a month at most. The great actress Maggie Smith in an interview said “old age is having breakfast every half hour,” meaning, the days flip by that quickly. How do we come to terms with this, if ever? I want to. I don’t want to be an anxious old woman. I want to live with purpose, to do something worthwhile and do it quick, while I still have time. But what if I never find that something, feel worthwhile enough? Can I never relax? Maybe James is right: the secret is enjoying every minute as it passes, not because it passes, not focused on the passing, but on what is here, now, this moment. And maybe that’s the reason for the popularity of memoir writing. We want to record that we were here, that we learned something, that our lives had meaning. 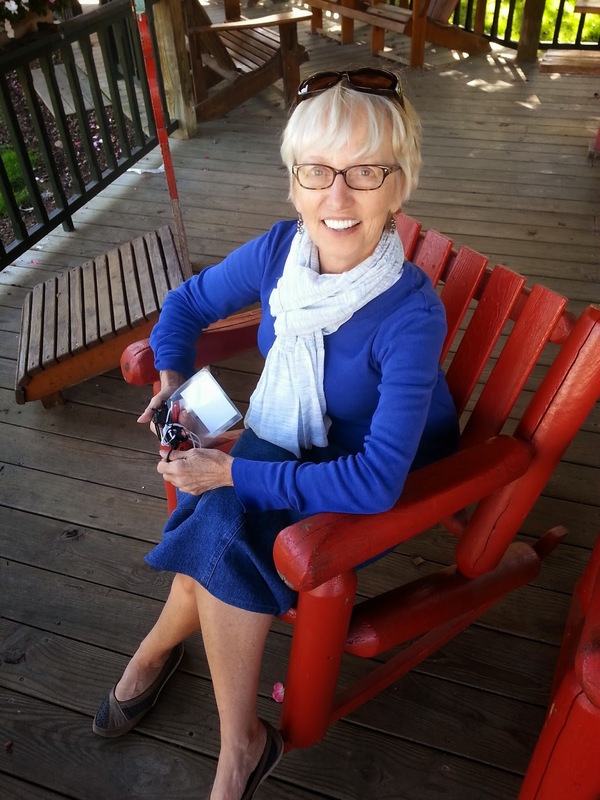 When I teach a memoir workshop at a retirement center, I go around the room at the first class, asking each student to say why they want to write a memoir. Often, the answer is “my kids want me to do it.” It seems that even in old age, we are still doing things for others. What I tell my students at the very beginning of class is therefore very important to me. I want them to know that writing the stories of their lives has very real, tangible benefits for their physical as well as emotional health. I tell them that psychiatrist Ira Progoff noticed that patients who kept a personal journal healed more quickly from emotional trauma than those who simply used talk therapy. I also tell them that University of Texas researcher James Pennebaker did clinical studies that proved writing about emotional events lowers blood pressure, slows the heart rate, relieves asthma and rheumatoid arthritis, and elevates the level of healthy T-cells in the blood for up to six weeks. Then I ask them to do an experiment. Write for twenty minutes a day, every day, and see how it makes you feel. This is my not-so-sneaky way of getting them to form a daily writing habit. Science tells us that doing something for 21 days makes it permanent in our brains, something that we don’t want to stop, i.e., a habit. Whether or not the habit sticks, by the end of a six-week course, most of my students are smiling more, even through tears when they share a piece about the death of a spouse or child. Putting our painful times into stories somehow makes them more than just a sad episode. It makes them works of art, amateur maybe, but art nonetheless. The bonds of sharing similar life experiences bring older students to the class with anticipation. New and closer friendships are formed. Even in classes and groups of middle-aged people, meaning is found in life writing. One man facing a terminal illness began, in the third class, to write about it, telling me he had not planned to share this, to “distract” from my teaching, to elicit “pity.” He had planned to write for his children about his boyhood growing up on a farm in a simpler time. But somehow the shared vulnerability of his fellow students gave him the courage to be fully open, and of course, they fully supported and encouraged him. A woman whose son was murdered hesitated before writing about him, but for her, the tragedy loomed so large that only writing about it freed her to write about him as a person, herself as his mother. When we share our heartache with others, there is healing. We find we are not alone, that others, whether or not they have the same experience, do indeed care about our welfare. Invariably, there is something in everyone’s story that teaches us how to live, reminds us what we have known but forgotten, gives us permission to be whole. Now, at the beginning of another year when so much is unknown, unwritten, my heart quickens at the thought of all those people sitting down at keyboards, or picking up pen and paper, ready and willing to discover the hidden treasure, the meaning of their lives. And maybe that’s the cure for our free-floating anxiety. Slow down time. Stop the clock. Face what your life has been, and decide for yourself what it all means. I firmly believe that the best way to do that is writing with others. Happy new writing year! 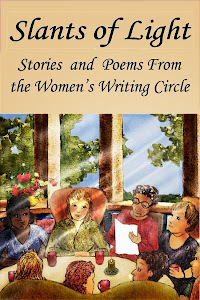 Linda C. Wisniewski has taught memoir writing workshops throughout the Philadelphia area, and currently at the Pearl Buck International Writing Center in Dublin, PA. 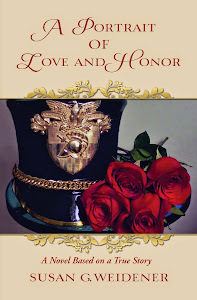 Her work has been published in newspapers, literary magazines and anthologies both print and online. 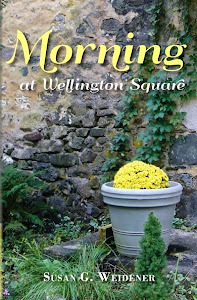 Linda writes a column on local women authors for the Bucks County Women’s Journal and is a freelance reporter for the Bucks County Herald. She has won first prize in contests run by the Wild River Review, the Pearl S. Buck Writing Center, and Mom Writers Literary Magazine, and her work was nominated for a Pushcart Prize. 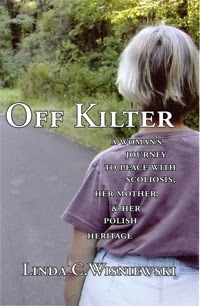 Linda’s memoir, Off Kilter: A Woman’s Journey to Peace with Scoliosis, Her Mother and Her Polish Heritage was published by Pearlsong Press.